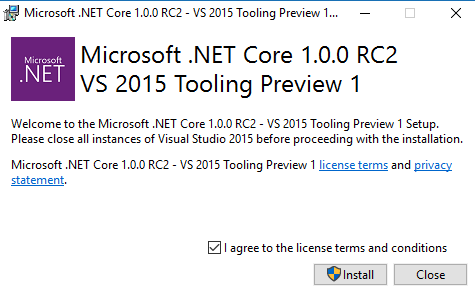 .NET Core RC2 is a major update from the November RC1 release and since announced all those that developed apps using the RC1 version are now required to upgrade them. The new version of .NET Core includes new APIs, performance and reliability improvements and a new set of tools as well. This means that not migrating your RC1 apps to it is not even an option. On the very first day of this year I released the Cross-platform SPAs with ASP.NET Core 1.0, Angular 2 & TypeScript post where we have seen how to get started developing Single Page Applications using ASP.NET 5, Angular 2 and Typescript. The post started with ASP.NET 5 beta and Angular 2 beta versions as well, but I made a promise that I will be upgrading the app as soon as new releases are out. Angular 2 was upgraded to RC.1 and now it’s time for the big change we have all waiting for. 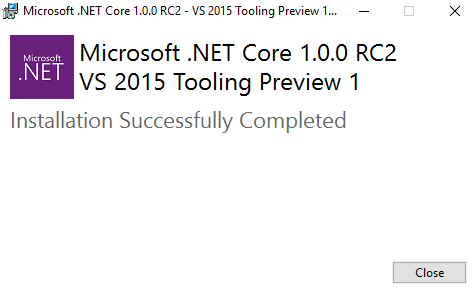 Upgrade from ASP.NET 5 RC1 to ASP.NET Core. This post will describe the changes needed in order to upgrade the PhotoGallery SPA application we built together, from ASP.NET 5 RC.1 to ASP.NET Core. You do know the PhotoGallery app or not, it really doesn’t matter. 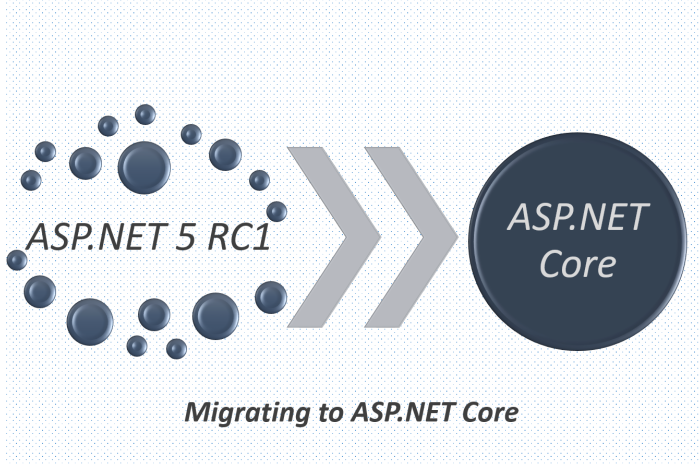 In case you have your own ASP.NET 5 application and you are interesting to migrate it, then you are on the right place. The interesting part is that the PhotoGallery app had incorporated many important features such as Entity Framework Core 7 with migrations and MVC services so you will have the chance to see not only the changes required to get the upgrade right but also some problems I encountered during the process. Before starting let me inform you that I have moved the ASP.NET 5 version of the project to its own Github branch named RC_1 so it is always available as a reference. The master branch will always contain the latest version of the app. You can view the RC_1 branch here. The first thing you have to do is remove all previous versions of .NET Core from your system which obviously is different for different operating systems. On Windows you can do this through the control panel using Add/Remove programs. In my case I had two versions installed. Believe it or not this is where I got the first issue and un-installation failed. I got a setup blocked message for some reason and also asked for a specific .exe file in order for the process to continue. It turned out that the web installer file required was this file so in case you get the same exception download it and select it if asked. At the end of this step you shouldn’t have any version of ASP.NET 5 in the Add/Remove programs panel. Depending on the OS you use, follow the exact instructions described here. 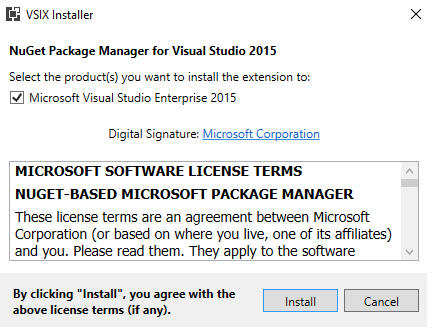 I had VS 2015 already installed so I continued the process with the Visual Studio official MSI Installer..
… and the NuGet Manager extension for Visual Studio.. When all these finished make sure that the new .NET Core CLI has been successfully installed by typing the following command in a console. In a nutchel, .NET Core CLI replaces the old DNX tooling. This means no more DNX, dnu or dnvm commands, only dotnet. Find more about their differences here. By the way in case you want to remove DNVM you have two options. Either run dnvm list to get all installed versions and then run dnvm uninstall version_to_delete or simply remove the runtime folders from the user’s profile folder. After doing this, if you open a new terminal dnvm will not be recognized by the system. 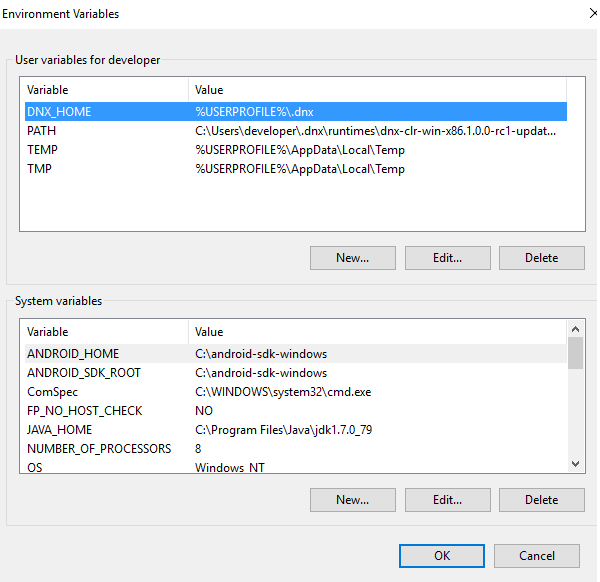 For deleting DNU and DNX delete the %USERPROFILE%\.dnx folder and any reference exists in the PATH environment variable. Any 1.0.0-rc1-final depedency should change to 1.0.0-rc2-final and any Microsoft.AspNet. * dependency to Microsoft.AspNetCore.*. For example.. The commands object we knew has been changed to a corresponding tools object. Here is the entire ASP.NET Core version of the project.json file. Feel free to compare it with the ASP.NET 5 version. 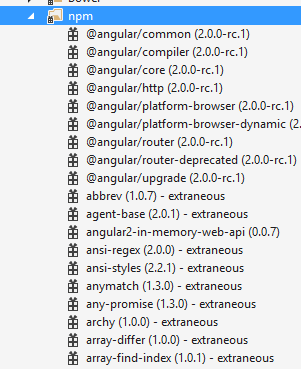 I have highlighted some important dependencies cause you certainly cannot ignore. For example you need to declare the Microsoft.EntityFrameworkCore.Tools if you want to work with EF migrations. 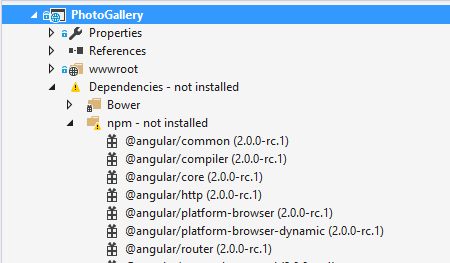 At this point I noticed that Visual Studio was complaining that the NPM packages weren’t successfully installed. More over it seemed that it was trying to download extra packages not defined in the package.json as well. 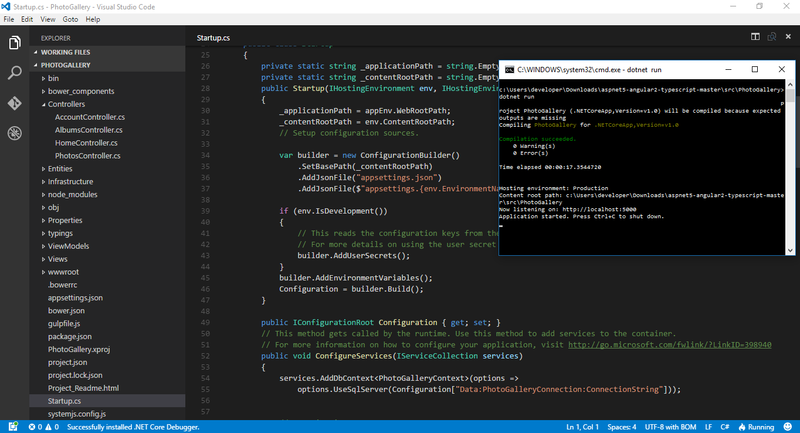 What I did to resolve this is make Visual Studio use my own Node.js version. Right clink on the npm folder and select Configure External Tools. Add the path to your Node.js installation folder and make sure to set it to the top. VS will use this from now on. After all those settings I believe the solution had at least 200 compilation errors so my reaction was like.. Compare it with the old version. You can find more info about upgrading to Entity Framework RC2 here. Here is the updated Startup class. The highlighted lines are most important changes. It turns out that if you run the command from the Powershell 5 you wont get the error. If you still want to run commands from the Package Manager Console as I did the only thing to do is navigate to the project’s root first using a cd file_to_root command and then run the command. Here’s what I did. 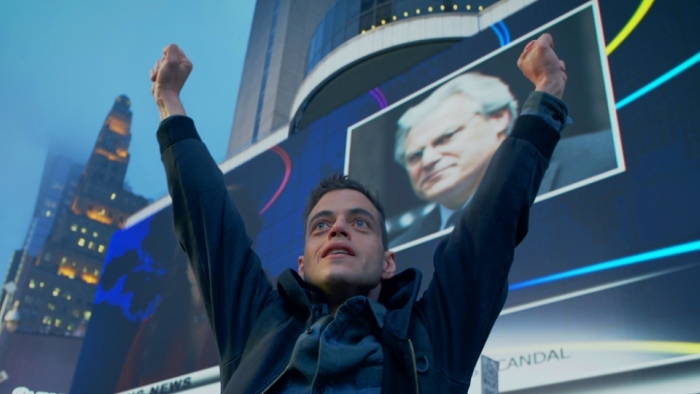 Then I run the database update command and the database was successfully created. I have also modified the .xproj project file and replace the old DNX references with the new DotNet. Having done all these changes I was able to launch the app both from IIS and the console. In order to run the app from the console type the dotnet run command. That’s it, we have finally finished! Migrating an ASP.NET 5 application to ASP.NET Core is kind of tricky but certainly not impossible. Now you can also create a brand new ASP.NET Core Web application through Visual Studio 2015 by selecting the respective template. As far as PhotoGallery SPA I used for this post, as I mentioned the master branch will always have the latest updates while the RC_1 keeps the ASP.NET 5 RC1 version. You can check the Upgrade from ASP.NET 5 to ASP.NET Core commit here. The full source code is available here with instructions to run the app in and outside of Visual Studio. Thank you very much Chris, its great that both ASP.NET Core and Angular were migrated. Will you update the original post as well? Of course. I ‘ll let you know via Twitter or Facebook when that happens. After learning all DNX, DNVM,etc…. and we need to forget about it…Nice..Now here we come another new toy we call it CLI …. Great post! I’m having the same issue with uninstalling RC1. However, the link you provided is for RC2 bits. Any idea where I can find the file needed to uninstall RC1? Try the file from this link. Thank you. You’ve just made my day!